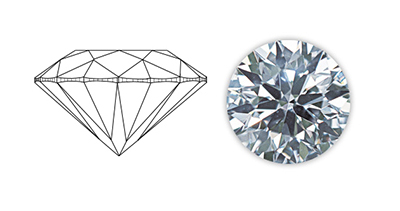 This diamond's grade is determined by brightness, scintillation, and polish. 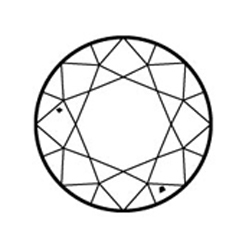 Although no individual proportions would necessarily cause its brightness or scintillation to perform poorly, the combination of this particular set of proportions leads to increased darkness in the pavilion mains. 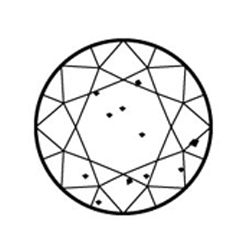 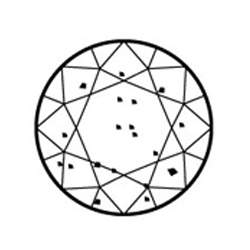 This diamond's grade is limited by its scintillation. 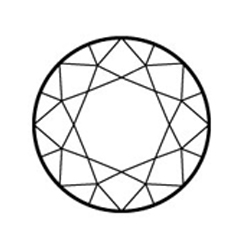 The combination of a shallow crown angle and a somewhat shallow pavilion angle leads to a face-up appearance with a lack of contrast and general darkness. 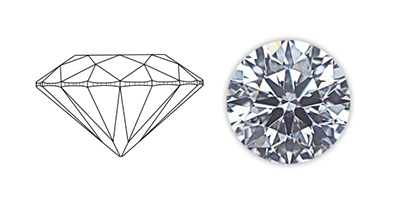 This diamond's grade is limited by its weight ratio. 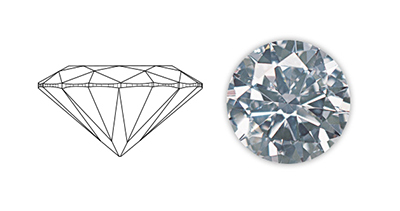 Although most of the proportions for this diamond are fairly standard, the extremely thick girdle greatly increases the total depth. 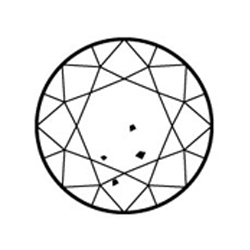 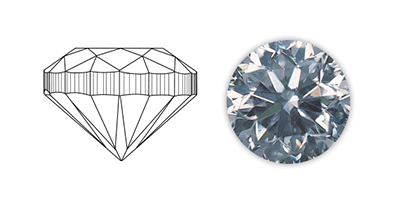 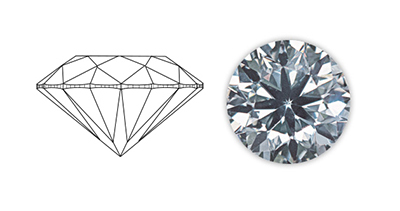 Therefore, this diamond's diameter is much smaller than its carat weight would indicate.